The medical examination of the athlete should represent the first aspect of the athlete’s cardiovascular evaluation and should never be forgotten or underestimated. It should always include a correct interview and medical history. The purose of cardiovascular recognition should be to assess fitness and competence for physical exercise or sport and to determine the presence of diseases that pose a risk or are likely to be aggravated by sport. On the other hand, recognition should always take into account the age and type of exercise, as well as the physical and competitive level of the individual, as this will greatly condition the assessment. In 1996 the American Heart Association (AHA) first established a recommendation for a pre-participation cardiovascular study in sports competitions, considering that it is justified from an ethical, legal and medical point of view. In Europe, the longest experience is the Italian experience, which since 1982 has established by law the need for recognition and certification of not suffering from cardiovascular disease in order to be admitted to any official sports competition. Based on the Italian experience, in 2004 the International Olympic Committee (IOC) adopted this strategy in its competitions and in 2005 the European Society of Cardiology (ESC) made a consensus recommendation on the need to carry out this recognition systematically in young sportsmen and women participating in organized competitions. This recognition should begin no later than age 12 and should be repeated regularly at least every 2 years. However, there is still great heterogeneity in their implementation, and few countries have implemented them systematically at all levels of competition and not only among elite athletes. These exceptions are Italy, the United States, Israel or Japan. There are two modalities of recognition; the basic one that includes the clinical interview, the physical examination and the echocardiogram, and that is the minimum that every individual should do before participating in sports competitions; and the complete one that includes complementary tests such as the stress test and the echocardiogram, and that allows to evaluate in an integral way the cardiovascular situation of the athlete. WHAT CAN A CARDIAC EXAMINATION CONTRIBUTE TO MY HEALTH? First, through clinical interview (personal and family history, symptoms with exercise) and physical examination (inspection, auscultation), the presence of certain diseases that pose a risk to the practice of sports can be ruled out. Secondly, an electrocardiogram is performed at rest. This simple test can rule out potentially dangerous diseases (cardiomyopathies, long QT, heart block). Third, during the stress test (or ergo-spirometry), the heart rate and blood pressure are monitored. The test can rule out arrhythmias with exertion or ischemic heart disease (insufficient irrigation of the heart muscle during exercise). 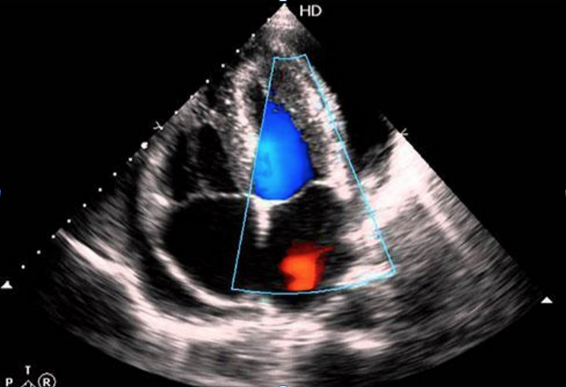 Finally, echocardiography is a technique that uses ultrasound to visualize the heart in motion. By reproducing its heartbeat, the circulation of blood through the different chambers and blood vessels is observed. Provides information on the shape, size, strength of the heart, wall thickness and function of your valves. The fact that the test is carried out correctly and no anomaly is detected does not guarantee 100% the possibility of suffering any cardiac event during sport. However, the vast majority of cases can be avoided. It should be remembered that the examination takes place in a cardio-protected (clinical) environment and does not take into account the environmental conditions of the sport, such as temperature or humidity, lack of rest, or the athlete’s obstinacy in finishing a competition even if he or she is not in a position to do so. What is the stress test with gas consumption? 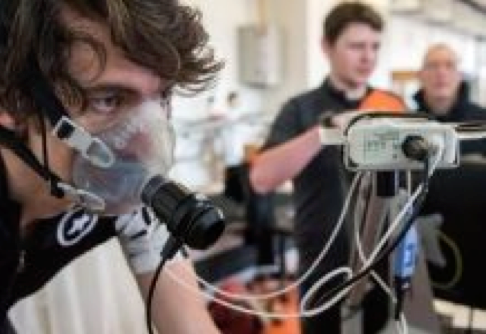 The stress test or ergo-spirometry is a maximum test, that is to say, it lasts until the athlete reaches the maximum possible effort. This is not to say that it should be extended to exhaustion, but that we will rely on gasometric criteria that indicate that the maximum effort has been reached and the test can be interrupted. Ergospirometry provides information on the response of the cardiocirculatory and respiratory systems to stress. 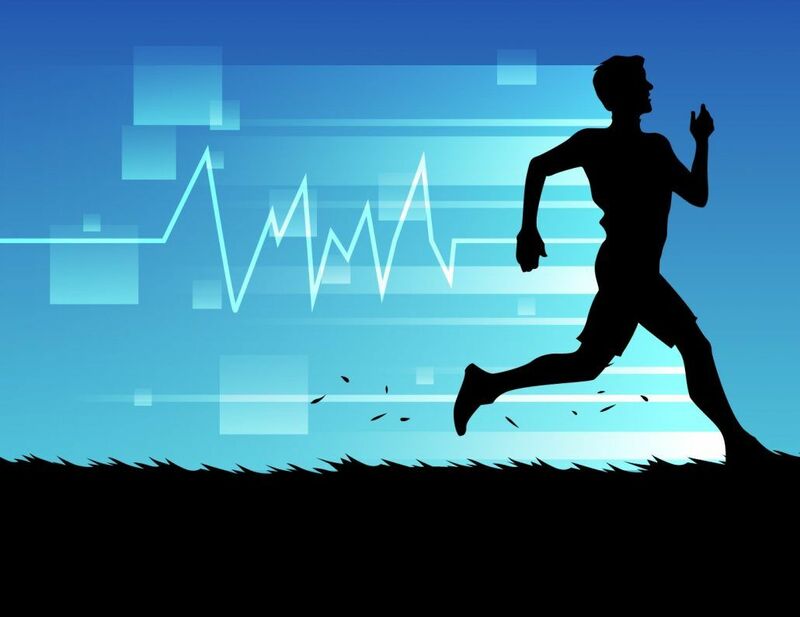 On the one hand, continuous ECG monitoring during exercise allows us to check the increase in heart rate during the different phases of exercise, as well as detect abnormal responses such as the appearance of arrhythmias or signs of ischemia (lack of risk) in the heart. In addition, during the post-exercise recovery phase it is verified that the return to calm is carried out in a correct way. This, without forgetting that repeated measurements of blood pressure during exercise allow us to rule out an abnormal hypertensive response during exercise that could put the athlete at risk. On the other hand, the analysis of gas consumption provides us with information on the function of the respiratory system and energy metabolism at the muscular level. To understand it better, we must know what it is that allows us to measure this test. What should I know about the stress test and its results? The three main parameters extracted from the ergo-spirometry are the maximum oxygen consumption or VO2max, and the metabolic thresholds. The VT1 or aerobic threshold and the VT2 or anaerobic threshold. The VO2max is a genetically determined parameter that provides us with information on the aerobic power of the body, that is, the maximum capacity of the body to capture oxygen from the air, transport it through the blood to the muscles and use it to metabolize carbohydrates and fats. Its values are expressed in ml/kg/min, so that in overweight people, it will appear decreased. VO2max cannot be improved once the maximum for which an individual is genetically predisposed is reached. If you start from sedentariness, the VO2max will increase as the athlete improves the level of training to reach that theoretical maximum value. The VO2max is the most important parameter in exercise physiology, as it represents the integrated functioning of all the apparatus and systems (respiratory, circulatory, locomotor) involved in the response to exercise. Those sportspeople with endurance and long-distance sports (cycling, long-distance running, cross-country skiing, etc.) are the ones who reach the highest values. The VT1 or aerobic threshold is the parameter that tells us when the carbohydrate metabolism begins in order to obtain energy. Below this threshold, energy metabolism is based on fat consumption. Its development is especially important for endurance sports. It is usually trained at the beginning of the season, during the filming phase. This requires continuous extensive training (running, flattening…) at low pulsation. Ideally, it should be around 65-75% of the maximum heart rate. The VT2 or anaerobic threshold is the highest effort intensity that an athlete can maintain consistently over a relatively long period of time. It is the highest level of exercise you can develop in a sustained way without fainting. Therefore, it is the data that best defines an athlete’s fitness status. To develop it, the competitive athlete can use both continuous intensive training and extensive intervallic training. Above this threshold, the athlete is no longer able to adequately “clean” the lactic acid (lactate) that his muscles make from the blood to produce energy (all the extra energy he needs and that the metabolism with oxygen can no longer provide). Lactate builds up in the blood, lowering the pH and causing muscle fatigue and exhaustion. In recreational sports or healthy sports, it is not recommended to train above this threshold, as it generates a hemodynamic and metabolic situation (acidosis, hypotension) that can put health at risk if you are not properly adapted. 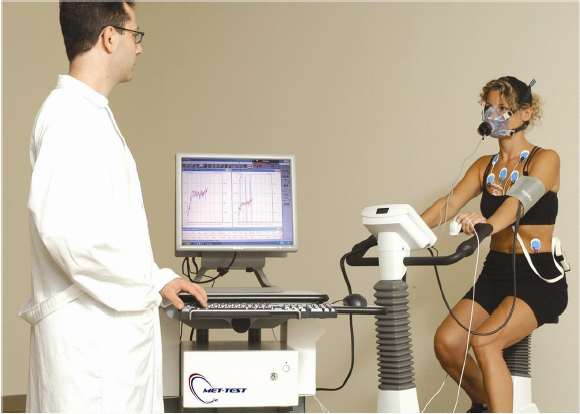 What can the results of ergospirometry contribute to sports practice? The most important information that can be provided to the athlete is the heart rate at which they reach the various thresholds. With this information the athlete or his or her trainer, if he or she has it, can properly plan the training to adapt it to specific objectives. With the knowledge of the heart rate for each threshold the 5 training zones can be established. What is the echocardiogram for? The data obtained from this examination provide us with more complete information on the state of the vascular and circulatory system, which allows us to detect cardiac alterations that usually go unnoticed in a physical examination or with an electrocardiogram, thus helping to prevent sudden death. Who should do it to the player, the ecodoppler? Athletes with suspected heart disease or family history of sudden death. Athletes of any age who play high intensity sports. 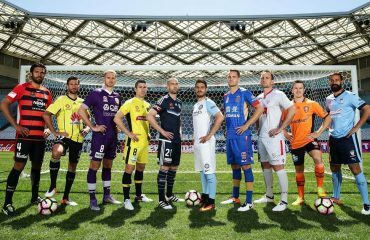 As the players of the Soccer Inter-Action High Performance Centre football academy. For the first group, an echocardiogram is practically mandatory to exclude the existence of heart disease that can cause sudden death. In the second and third groups, although it is not a mandatory test, it is recommended to do it at least once in your lifetime. Intense training can cause changes in the heart and sometimes heart problems develop that can only be detected with an echocardiogram. It is therefore a highly recommended test when training and participating in competitions, either professionally or popularly. In people over 35 years of age, it can detect structural changes caused by continued sports practice or diseases such as high blood pressure. If I’ve already taken a stress test, isn’t that enough? If you have already had a stress test with gas consumption, we congratulate you. Now you know how your body responds to physical exercise, how hard you work out, how hard you start to build up lactate, and how hard you have to keep up to avoid fatigue. And above all, that your cardiovascular system is healthy and fit for exercise. However, you should know that your cardiac examination is not complete. Some heart diseases may not show up on a stress test while they already have changes in the structure of the heart. With the echocardiogram you can be sure that your cardiovascular system has been studied in detail and there are no current or potential problems in the future. And if I get all the tests done, nothing can happen to me anymore, can it? But remember, the fact that the tests performed are normal, and no abnormalities are detected does not guarantee 100% the possibility of suffering any cardiac event during sport. However, it is possible to avoid the vast majority (>95%) of cases, which provides great security. It should be remembered, once again, that the tests are conducted in a cardio-protected environment and cannot replicate the athlete’s specific environmental conditions or physical and emotional situation on the day of the competition. And remember, what is really important in sport is not to reach goals or to exceed them more and more, but to enjoy every day while you practice it. Enjoy it safely and stay healthy and happy. Pelliccia A1, Zipes DP, Maron BJ. Bethesda Conference #36 and the European Society of Cardiology Consensus Recommendations revisited a comparison of U.S. and European criteria for eligibility and disqualification of competitive athletes with cardiovascular abnormalities. J Am Coll Cardiol. 2008 Dec 9;52(24):1990-6. Boraita Pérez A1, Serratosa Fernández L Sudden death in the athlete. The minimal requirements before performing a competitive sport. Rev Esp Cardiol. 1999 Dec;52(12):1139-45. Corrado D, Pelliccia A, Bjørnstad HH, et al. Cardiovascular pre-participation screening of young competitive athletes for prevention of sudden death: proposal for a common European protocol. Consensus Statement of the Study Group of Sport Cardiology of the Working Group of Cardiac Rehabilitation and Exercise Physiology and the Working Group of Myocardial and Pericardial Diseases of the European Society of Cardiology. Eur Heart J. 2005 Mar;26(5):516-24. 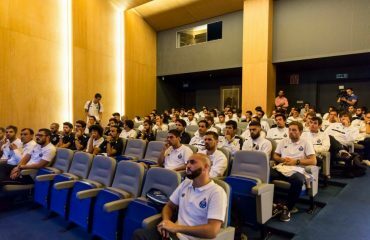 FC Porto Coaching Clinic for soccer coach in Germany.